There was a story recently on CBC about how “talkative homebuyers” need to be careful while viewing a home because the seller may be eavesdropping via their home surveillance. Which led us to think of some best practices for shopping for a new home, whether you’re touring a resale home or browsing a new home sales centre. Ontario privacy legislation typically applies to commercial activities, so once you’re stepping into a private home, being recorded is fair game. It was suggested in the CBC article that a sign or some sort of warning of the home surveillance would be a good-faith gesture, but not legally required. 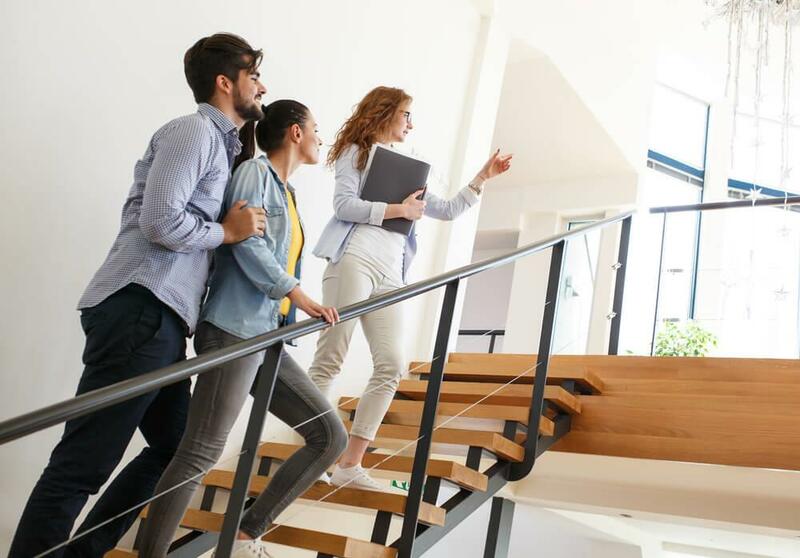 So, since you’re being watched and observed everywhere you go, here are a few behavioural tips for your house hunting trips. Even your face can say a lot about you. A seasoned sales agent has the ability to read posture, facial expressions, tone of voice, and any other signs you may be giving off. The idea is to remain neutral while touring a home or reviewing potential options. For example, say you’re in a resale home and you see a kitchen that you love, and you jump up and down and hug your partner and start admiring all the appliances and finishes. The sellers now know that’s your dream kitchen and may end up figuring out a way to use that info to get you to bid higher. We want to say all real estate agents are working in your best interest, but it’s unfortunately just not true. There are many agents out there that prioritize volume of sales over you finding the home that’s right for you. You can't completely blame them because the more transactions they complete, the more money they make. So, if you’re using a real estate agent you don’t know or suspect they are pushing you into deals, then we recommend finding a different agent. Ask friends and family if they can recommend someone. If you’re not in a huge rush to buy, you can set up interviews to find someone you think works best for you. If you’re going to give off an impression via home surveillance, you might as well portray yourself as someone who is detail oriented. Plus, it just makes sense to actually take a look a the finer details of a home. Get down on your hands and knees and check out the floors, examine door frames, do a walkaround of the exterior of the home if possible, thoroughly inspect windows in each room, ask to see the mechanical room, ask how old the roof is, and simply keep your eye out for any flaws. If a seller is actually reviewing their home surveillance footage and sees you doing this, they will understand that you are serious and are looking for a good quality home. We hope these tips help you on your hunt for a new home!